Serial entrepreneur Julieta, co-creator of Branch Brush, a company selling an all-natural form or oral hygiene, is looking to ‘change the world’ one mouth at a time! First year School of Business student Julieta Ose is a serial entrepreneur. 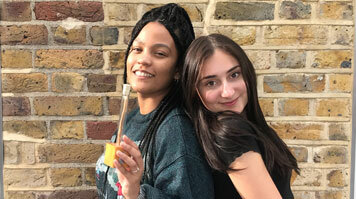 Together with co-founder Kaydee, she has created Branch Brush, which has been accepted onto LSBU’s Spark programme. Julieta is an Enterprise Ambassador, has represented Student Enterprise at university Open Days and Welcome Week, and is also a proficient keynote speaker, hosting student-led meet-ups.